Whether you’re looking to mindfulness as a way to help yourself, your children, or your clients, and whether you’re looking for the written word, recorded audio books or even free PDFs, there should be something here for you. 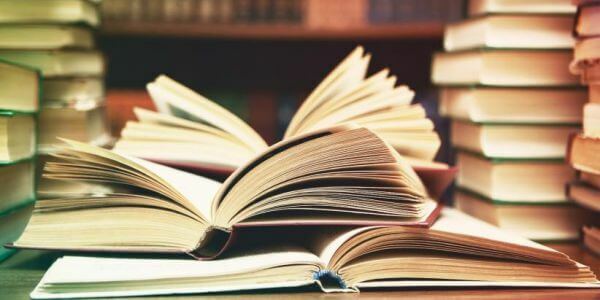 This article is meant to be an extremely wide-ranging collection of books relating to mindfulness, so go ahead and dive in. We hope you find what you are looking for. If you do not how to get started with mindfulness, one of these books should help you out. 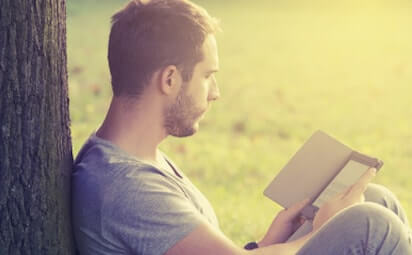 These books are directed towards mindfulness newcomers, so you should feel comfortable picking up any of them and beginning to learn from square one. Salgado’s book for newcomers aims to introduce mindfulness by relating mindfulness to daily life. She accomplishes this by introducing several different mindfulness practices beginners can make use of immediately, no matter how new they are to mindfulness. Some of these mindfulness exercises are so short they can fit into any schedule. The book also comes recommended by Sharon Salzberg, an accomplished mindfulness leader who will show up later in this article. Holloway’s book for beginners serves as an introduction to mindfulness and mindfulness meditation both in theory and in practice. Reading this book should help someone learn the science of mindfulness as well as different ways to incorporate mindfulness meditation into their lives. The author began learning about mindfulness as a way to combat his anxiety, so people struggling with anxiety might find this book to be a helpful approach in learning mindfulness. Tips for The 21st Century Human by Martin Lippmann: Lippmann’s book is one of the shortest books on this list, so it might be a good option for people itching to get into mindfulness. The book focuses on teaching you everything you need to know to start a mindfulness meditation practice, as well as tips on how to make your meditation sessions the most effective they can be. This book is a good option for someone who does not necessarily need to be sold on mindfulness and is just looking for a quick way to get started. Chavan’s introduction to mindfulness is not the shortest book on this list yet still a breezy read. 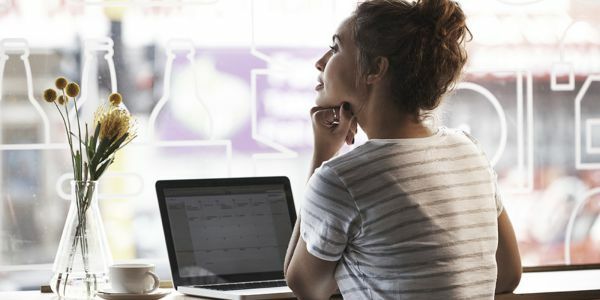 It spends a bit more time selling the reader on mindfulness if they are not quite convinced yet, then goes on to suggest ways you can start your own mindfulness practice, from mindfulness meditation sessions to mindful breathing exercises. Chavan’s book is aimed at people who want to dive headfirst into mindfulness and completely change their lives. This is because the author herself used mindfulness teachings on her way to a healthier weight and happier lifestyle. Ravakar’s book is meant to show beginners all the different times in their day that they can practice mindfulness so that they can start applying mindfulness to their lives in the way they choose. This makes it a good solution for people who want to learn the basics of mindfulness on their own time to fit their own schedule, whether they can afford to dedicate a lot of time to mindfulness or just a little bit. This is the book for people who are looking to learn from a Zen master rather than a more Western teacher. 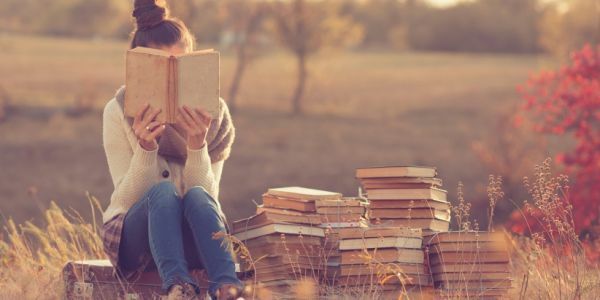 If you prefer proven commodities, here are our picks of mindfulness books that have helped thousands of people before you on their way to becoming bestsellers. 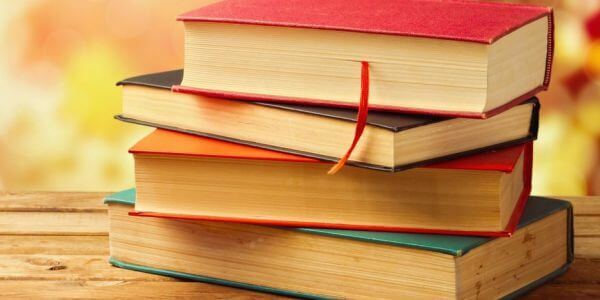 These books have become bestsellers by appealing to a wide range of people, so it is likely that you will be able to find value in some of them too. Sunim’s mindfulness book is an international bestseller that aims to help people adopt mindfulness in their lives if they want to be happier. The author was born in South Korea but educated in the United States, giving him a unique, broad perspective that many can find value in. In his book, Sunim stresses the importance of healthy relationships with others, along with the necessity of having a strong relationship with ourselves. This book can help you deepen your existing mindfulness practice, but might also convince someone without an existing practice to establish one. Henepola Gunaratana’s book on mindfulness is meant for people who want to completely change their lives with mindfulness and are ready to commit. It is short enough to read over and over but long enough to make a lasting impact on the reader’s life. The author’s experience teaching in the United States also makes this book on mindfulness very helpful for those in the West while still being rooted in Eastern tradition. This bestseller comes recommended by many mindfulness experts, not the least of which is Jon Kabat-Zinn, who this article will discuss in more depth later. Scott & Davenport’s bestseller is a book focused on a few of the benefits of mindfulness, such as improved relationships and reduced anxiety and mental clutter. It then teaches you how to achieve these benefits through mindfulness meditation and other mindful exercises. The book aims to be actionable so that any one can pick it up and start benefiting from mindfulness right away. The fact that it is actionable combined with the fairly short length makes this the choice for people who are looking for quick results from their books. Singer’s book aims to help the reader discover themselves, their inner space and their inward journey. The author believes that learning and practicing mindfulness is the best path towards becoming conscious and free. He helps the reader achieve this by showing them how to let go of painful memories and start living in the moment. The bestseller has found success all around the world, showing that its lessons are accessible to many cultures. Patel’s bestseller is the most interactive book on this list, as it is partly a journal for the reader to keep. This journal, however, includes writing prompts and creative exercises aimed towards helping readers discover mindfulness in their own way. This book is an excellent option for independent learners who prefer interactive experiences to more traditional books. It is also the clear choice for fellow artists, as it is presented in a very visually attractive way, unlike the more traditional books that make up the rest of this list. The Little Book of Mindfulness: 10 minutes a day to less stress, more peace by Patrizia Collard aims be an easy-to-follow path to mindful awareness for anyone who has ten minutes a day to commit to it. Collard is a psychotherapist with plenty of experience in psychology and mindfulness, so you can have faith that the little book’s mindfulness teachings are rooted in scientific backing. This book is a great way to learn mindfulness and apply it in bite-size chunks, and at just under 100 pages its teachings are condensed enough to digest in a short amount of time. If you are particularly interested in mindfulness as it pertains to mindfulness meditation, this section is for you. From guided mindfulness meditation sessions to a full mindfulness meditation program, one of these books should help your practice. Thích Nhất Hạnh’s introduction to mindfulness meditation takes a casual approach by pointing out opportunities for mindfulness in things you already do. Rather than suggesting you slot mindfulness into your schedule, the author suggests practicing mindfulness while doing everyday things you already do anyways, such as washing the dishes. Thích Nhất Hạnh is a Zen master who is not only well-respected in the mindfulness community, but whose ideas were even praised by Martin Luther King, Jr while he nominated Nhất Hạnh for a Nobel Peace Prize. For readers who prefer to learn from proven authorities, you cannot do much better than Thích Nhất Hạnh. Barton’s book is an all-in-one guide to mindfulness meditation, from the history of mindfulness meditation to its benefits and ultimately how to begin practicing it. The author does not just assume you have already decided to begin a mindfulness meditation practice but helps get you there before he begins giving examples. This book is a good option for people who like having a lot of information available before they start doing something, as Barton will convince you to start a mindfulness meditation practice if you are on the fence in any way. This mindfulness meditation handbook is targeted towards helping “absolute beginners” begin a mindful meditation practice, starting with five minutes a day. It is a very short read, and it is completely free, so readers have nothing to lose. If you are already sold on mindfulness meditation and just do not know where to start, this is a good, zero-commitment option. You might need to eventually supplement it with something else on this list, but this book is a great start. On the other side of the spectrum is Real Happiness, which is a full mindfulness meditation program from Sharon Salzberg, a leader in mindfulness and mindfulness meditation. This book is also aimed at newcomers to mindfulness meditation, but it provides four full weeks of guidance. For people who want to get into mindfulness meditation but need a rigid schedule to stick to rather than looser, less-structured guidance, there is no better option. This book is another how-to guide for mindfulness meditation, though it relates mindfulness to Buddhism more than the other books on this list. It discusses a history of mindfulness, Buddhism, and mindfulness meditation before instructing the reader in how to begin mindfulness meditation. This is a good option for anyone who wants to learn mindfulness meditation with a bit more focus on how it pertains to Buddhism, though its mindfulness teachings are solid on their own. Mindful eating is a response to emotional eating, where people eat for reasons other than hunger. Of course, eating more than you need to can lead to health problems, and that’s where mindfulness comes in. By harnessing the power of mindfulness in your diet, you can lead a healthier and more mindful life. This book aims to teach people about mindful eating so they can lose weight or just be happier with their bodies. It is written by Dr. Lynn Rossy, who is not only a clinical psychologist but also on the board of directors for The Center for Mindful Eating. The book helps people be more mindful while eating by helping them figure out how to read their body better as well as understand the reasons for which they are eating. If you often find yourself eating food just because you’re bored, or for any other reasons besides hunger, this book will give you the strategies you need to stop. This book on mindful eating comes from Dr. Jan Chozen Bays, who is also a Zen master. The book aims to help people get started with mindful eating in part by identifying eating habits and patterns, so they can better understand their reasons for eating when they do. It also includes an audio CD with guided meditation exercises. This added CD makes this book an excellent option for people who learn best from multiple forms of media rather than just reading. This book is a collaboration between the aforementioned Thích Nhất Hạnh and Harvard nutritionist Dr. Lilan Cheung. The two combine their expertise for an extremely well-rounded approach to mindful eating with solid scientific backing. Anyone who is drawn to mindful eating for its basis in nutrition should start right here. While all the authors on this list are qualified to write about mindful eating, this pair’s wealth of knowledge regarding both mindfulness and nutrition cannot be matched. For those of us who like having options, Dr. Albers has put together a great handbook for mindful eating that will show you 50 different things you can do to avoid eating food for the wrong reasons. The author hopes that food cravings can be fought off by turning to this book and picking a strategy. This book is a good option for people who do not need to be sold on mindful eating but are just looking for a collection of ways to start practicing it. In fact, you can even leave it lying on your coffee table until you need it. Dr. Somov’s book on mindful eating might be the most helpful one on this list for clinicians, though anyone who wants to start practicing mindful eating will find useful lessons as well. The author believes that “emotional eating is a legitimate form of self-care” and wants people to have the tools to make sure they do not overdo it rather than completely avoid emotional eating. Readers who are looking for a non-judgmental overview of mindful eating techniques might appreciate this book more than some of the others on this list. Mindful parenting is a field dedicated to helping improve the lives of parents, their kids, and families as a whole. By teaching parents mindfulness strategies, parents can raise their children in a more holistic way, and even pass on mindfulness techniques to their children. This benefits the whole family. Dr. Race’s book aims to teach parents how to raise their kids in a world filled with stress. The author is an expert in family psychology, so you would be hard-pressed to find a more qualified individual to speak on mindful parenting. Dr. Race aims to help parents and children reduce their stress levels while realizing that stress is a reality of the world we live in today. She also has two children of her own, so you can trust that her teachings are based on real-world experience as well. Mindful discipline is a dual effort from a clinical psychologist/mindfulness expert and a pediatrician/life coach. This combined experience leads to a holistic approach to mindful parenting from the authors which combines neuroscience and mindfulness. 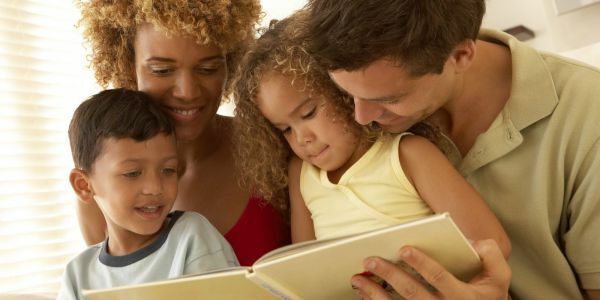 Their goal with the book is for parents to have the tools to raise their children with confidence by adhering to five simple principles starting with unconditional love and ending with learning from mistakes. This is the book for anyone who prefers their psychology readings to integrate neuroscience and social psychology. The awakened family is another offering from a clinical psychologist, though it should be noted that this one comes recommended by Oprah Winfrey herself. The author prides herself on combining Western and Eastern teachings and has previously written a bestselling book on parenting before this one. The goal of this book is to help parents raise children who can thrive, starting by increasing the well-being of the parents themselves. Greenland’s book is based on her mindful parenting program which has found support from the Mindfulness Awareness Research Center at the University of California, Los Angeles. In it, she teaches parents a step-by-step approach with which they can give their children mindfulness tools to overcome stress and stressful situations. The teachings in the book are aimed at a wide range of children from four to 18 years old, so all parents can find value in it. 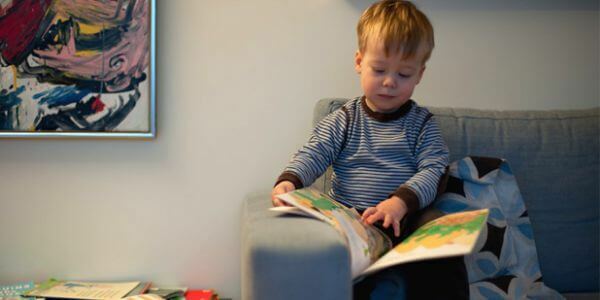 The systematic organization of its teachings might also make it easier to follow for parents who do not have experience with psychology or mindfulness. Dr. Peterson’s book takes a different approach from the others discussed here. The author spent years observing parenting strategies from different Eastern cultures and condensed her research into this book aimed at parents in the West. The point of the book is to teach parents how to organize their lives to best fit their children’s (and their own) needs. Any parent looking for a way to use mindfulness to increase their family’s well-being can find value in this compilation of mindful parenting strategies from around the world. While mindful parenting includes ways for parents to teach mindfulness to their kids, these books cut out the middleman and present mindfulness techniques directly to children in a way they can relate to and understand. These books are better suited for children who are interested in mindfulness on their own, as well as parents who are not sure if they can commit to mindful parenting. Of course, these books in combination with mindful parenting books are an excellent option as well. This book is aimed at children from 5 to twelve years old who struggle with anxiety, emotions, and other normal aspects of childhood. After explaining the benefits of mindfulness, the book provides 11 mindfulness exercises children can easily add to their schedules. The book also includes a CD with guided meditations read by Myla Kabat-Zinn (who, along with her husband who will be discussed later in this article, is a major figure in mindfulness). The author has years of experience with mindfulness and mindfulness-based stress reduction (MBSR) in particular, so Sitting Still Like a Frog is an excellent choice for anyone looking to share mindfulness with their children. Dr. Willard’s mindfulness book is more aimed at teenagers specifically, as its title indicates. In it, the author shares different strategies teenagers can use to get over their anxiety and other social worries so they can enjoy their adolescence. The book focuses on all aspects of a teenager’s life, from home anxiety to school anxiety to relationship anxiety, so the mindfulness techniques within can benefit any teenager dealing with anxiety. Teenagers who find the books aimed at children too young for them might find value in Mindfulness for Teen Anxiety. This book from Susan Kaiser Greenland is aimed more directly at children than her mindful parenting book which was discussed above. Greenland has compiled more than 50 games and activities that kids and their families can enjoy on their way to learning and practicing mindfulness. The book focuses on teaching “Attention, Balance, and Compassion” along with concentration skills, so most kids should be able to learn from its teachings. Since this book teaches mindfulness in a fun way, many families might find it a useful tool in sharing mindfulness with each other. If 50 techniques is not enough for you, this book triples that number in presenting over 150 mind tools that children and adolescents can use to practice mindfulness. These tools are meant to explain mindfulness in kid-friendly ways, allow children to gain their own mindfulness skills, and let children track their mindfulness practices, among other things. Some of the tools are targeted at differently-aged kids, but because there are so many options available, there is value in this book for children and adolescents of all ages. This book is a versatile option for multi-children households, and can also stay relevant as kids get older. Mindfulness-Based Cognitive Therapy (MBCT) is an eight-week program partially inspired by Mindfulness-Based Stress Reduction (MBSR), which was founded by the soon-to-be-discussed Jon Kabat-Zinn. MBCT is most often a group therapy treatment plan aimed at people struggling with major depressive disorder. Some of the following books might be helpful for clinicians with depressive patients, while others might be helpful for people dealing with depression. Whether or not you consider yourself a dummy, Dr. Collard’s book is an excellent guide to MBCT. Along with introducing the reader to MBCT, it also includes access to downloadable guided meditations you can use when undergoing or administering the eight-week course. This book is an excellent starting point for learning about MBCT, even for those who have absolutely no idea how to start. It can be helpful to show clinicians how a program might look, as well as for showing patients what they should expect before beginning a program. Crane’s book is aimed at clinical practitioners who want to learn about MBCT. The author presents the concept by describing thirty features of the program that define it and set it apart. It should be noted that the book specifically focuses on MBCT “that is offered in a group context to those who are vulnerable to depressive relapses”, so it is most applicable to that situation, though it can still serve as a good overview of MBCT in general. This option might not be as useful for people dealing with major depressive disorder, as it is mostly intended to help train clinicians. Transcripts and Insights for Working With Stress, Anxiety, Depression, and Other Problems by Richard W. Sears: Dr. Sears’s book aims to serve as an example of a full, eight-week MBCT program for people to study and learn about. It is the next best thing to actual experience with an MBCT program, and the author shares some insights that can further help someone administer the program. This is a good option for someone who wants to know what an MBCT program actually looks like in practice before administering one on their own. A Manual for Treating Childhood Anxiety by Randye J. Semple, Ph.D. & Jennifer Lee, Ph.D.: Dr. Semple and Dr. Lee’s MBCT book is the only one this list focused on children. It is particularly aimed at 9-12-year-old kids, so would be most useful for practitioners dealing with pre-teenagers. The book not only describes how to treat a child with a twelve-session MBCT program but also includes supplementary poems and activities to deepen a child’s engagement with the program. This book is the clear choice for anyone concerned with MBCT for children specifically. This book is not necessarily aimed at clinicians, but instead at people who think they could benefit from MBCT. It offers mindfulness practices, guided meditations (which are downloadable as well as on an included MP3 CD), and a way to track your progress in the mindfulness program. It is a great option for people who wish to learn on their own as the authors are each extremely qualified to speak on MBCT. Jon Kabat-Zinn studied Buddhism under Thích Nhất Hạnh and went on to found the Oasis Center for Mindfulness at the University of Massachusetts Medical School and the MBSR program. He is a major figure in popularizing mindfulness teachings in the West, and we felt he has written too many valuable books to pick just one. Mindfulness beginners, as well as experienced practitioners, should find value amongst these offerings. Although this article already had a section on mindfulness books for beginners, Kabat-Zinn’s offering deserves its own mention. The book is meant to be read either all at once or little by little for a versatile way to learn about mindfulness from the man who popularized it in the West. It also includes a CD with guided mindfulness meditation sessions, making this book perhaps the single best one from which to learn about mindfulness. This book was first published over two decades ago yet still stands tall as an entry into the field of popular mindfulness. It is a long overview of mindfulness and the science behind it (with this edition updated with more recent studies), and serves as a fairly complete handbook for mindfulness for anyone interested in the field. People who prefer the scientific side of mindfulness might find this to be their favorite book from Kabat-Zinn. This follow-up to Full Catastrophe Living is a much more condensed overview of mindfulness which focuses more heavily on mindfulness meditation than the previous book did. This makes it a better option for someone who is more interested in the meditation aspect of mindfulness, as well as someone who is looking for a shorter book to deal with. It has been a bestseller for decades meaning that countless other people have found it helpful, so you probably will too. Released well after Wherever You Go, There You Are, Coming to Our Senses is an updated overview of mindfulness for anyone interested in its teachings. It is much longer than Wherever You Go, There You Are, and the fact that it is so much more recent makes it a good option for someone who wants more up-to-date scientific evidence for mindfulness. This book focuses on the relationship between our minds and our bodies, so people interested in mind-body integration should find it interesting. Of course, it is also a good option for anyone who has read and liked Kabat-Zinn’s other books, as it is just another branch of his extensive teachings on mindfulness. Finally, Kabat-Zinn’s Arriving at Your Own Door is easily the shortest book of his on this list, making it the clear option for fans of brevity. Just as it sounds, it is a collection of over 100 mindfulness lessons anyone can learn from. As a series of bite-sized reflections, this book can be used like a daily teacher when it comes to mindfulness, for those of us who could use reminding to be mindful every now and then. It can also be a great way to start learning about Kabat-Zinn’s teachings with little commitment. Free PDFs are always an excellent learning tool, as they are accessible to anyone with an internet connection and can be shared just as easily. Here are a few great choices to learn about mindfulness in the cheapest way possible. If you like these books, you can share them with anyone willing to learn. The Little Book of Mindfulness is indeed a very little book and probably more accurately called a pamphlet, but some might find it an engaging, quick introduction to mindfulness. It is by no means exhaustive or all-encompassing but can serve as a good introduction to some aspects of mindfulness, from stress relief to meditations to smartphone apps one might find helpful on their journey. This easily shareable, free PDF is a good way to share mindfulness with people and try to pique their interest. This free option can be a great introduction to mindfulness meditation for a self-motivated learner. It functions as a journal as well as an idea guide, as it prompts you to try an exercise then allows you to write down how it made you feel. It is also just a great collection of mindfulness exercises anyone can easily start practicing. The book can be viewed in-browser or downloaded and shared, so that people who find its teachings valuable can spread the joy of mindfulness meditation with their friends. The contents of this free ebook were originally delivered as a series of lectures on the mindfulness of breathing to a group of monks. It is a good option for those who want their mindfulness teachings to be explicitly based in Buddhism. Intended to be a manual to mindful breathing, this very long guide can be an extensive introduction for beginners who do not have access to a teacher of their own. That is to say, it is not for people looking for a breezy introduction to mindfulness. This meditation handbook is about 1/10th the length of Anapanasanti – Mindfulness of Breathing, so it might be helpful for people who do not yet have as much time to dedicate to mindfulness. The book comes recommended by Jack Kornfield, an expert in mindfulness, and its short length does not make it any less valuable. The book guides the reader through the beginning stages of establishing a mindfulness meditation practice, and the fact that it is freely available as a PDF makes it easy to share its teachings with anyone who wishes to have a handbook for mindfulness meditation. Finally, Prengel’s book is meant to help people use mindfulness for the purpose of recovery from whatever they are dealing with. It was inspired by the original twelve steps program for alcohol recovery, though it is retooled to de-emphasize the presence of a higher power for anyone who feels uncomfortable with that idea. Instead, it is meant to encourage personal growth and transformation from within. People who have undergone the original twelve-step program from Alcoholics Anonymous may also find value in this as a supplement. Some of us prefer learning through audio rather than by reading, and others of us just prefer audio books. Whatever your reasoning, here are five great audio books on mindfulness you should enjoy. One of them is so good that we mention it here for the second time, but most of the rest are great audio books which are also available in traditional book form that we have not yet mentioned. Kabat-Zinn is so highly thought of in the mindfulness community that we not only felt it necessary to dedicate a section to him above, but we also felt that he also deserves to be the first author mentioned in this section. In this audiobook, Kabat-Zinn both talks about mindfulness meditation and leads guided mindfulness meditation sessions, so this is a good option for someone looking for both. Since the meditations contained within are specifically geared towards pain relief, this audio book is a particularly good option for someone who is in pain and does not find it comfortable to sit and read. This CD has a simple goal that it executes well: presenting four different guided meditation sessions you can follow and practice with. Dr. Goleman includes a body scan meditation, a walking meditation, a breathing meditation, and finally a general mindfulness meditation. This makes the book useful for people seeking mindfulness for several different reasons, and listeners might even find a benefit of mindfulness that they did not know they needed. The audiobook version of this aforementioned book can come in handy for people who find it hard to follow a program while reading, and prefer to listen instead. This audiobook will walk you through the entire 8-week program. You can even put it on your phone or mp3 player and have a full mindfulness program available to you at all times. As the title suggests, this audiobook is not for everyone. Instead, it is targeted to expecting families who want to use mindfulness to ease their pregnancy as well as their actual birthing. This audio book uses mindfulness to ease an expecting family’s fears going into childbirth and should help with reducing stress at every step. It is written by a nurse, midwife, and mindfulness teacher, so it would be hard to find someone with more relevant experience when it comes to mindful birthing. For those who want mindfulness that is based in Buddhism, Joyful Wisdom is the way to go. In it, the author deals with anxiety in the modern world and how we can deal with it. It is not an audiobook of guided meditation sessions, but one to be listened to as a lesson and as a story. This audiobook will give any practitioner of mindfulness and Buddhism plenty to think about long after finishing it, as the author is a respected meditation master. Although we have just listed many of our favorites above, there are countless books out there which can help you learn about and practice many aspects of mindfulness. Whatever your learning style is, whatever your experience level is, and whatever you need mindfulness for in your life, we hope this page has a book for you. Even better, we hope it has several. 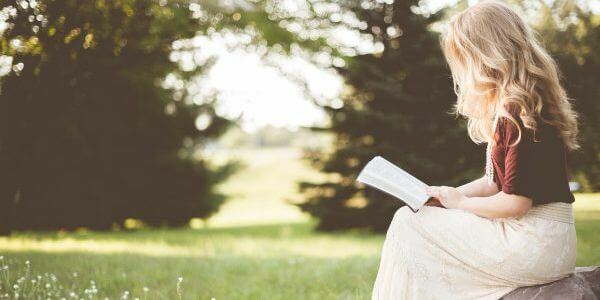 If you have a favorite mindfulness book that you think should be on this list, let us know! This is a very good publication about mindfulness meditation that used for prolongation the human’s life as was discovered by Allen Omton and Serge Dobrow. Very nicely done, Joaquín! I’m particularly impressed by your breaking out mindfulness into an apt taxonomy of subsets – and personally annotating each listing. Exactly my kind of map! Well, if you’re still there (a year later), yes! I do. Two selections. 1) It’s been 40 years since Thich Nhat Hanh published The Miracle of Mindfulness. Today, I’d recommend his Essential Mindfulness series – How To Sit, How To Walk, How To Eat, How To Love, How To Fight, etc. I’m very glad to see it’s reaching a wide audience. And stepping back and looking at your list, the time seems ripe to consolidate gains and best practices, as a base from which to extend mindfulness into conscious conduct, and nondual wisdom. So for five years’ I’ve been writing “Pause … Breathe … Smile ~ Awakening Mindfulness When Meditation Is Not Enough.” The title is not only an easy meditation anyone can practice anytime. It’s also the structure of the book, which introduces intentionality and philosophy to meditation as an integral whole. Pausing, intention. Breathing, meditation. Smiling, wisdom. It’s due September 1st from Sounds True. If you might wish to consider reviewing it somewhere, I’d be more than glad to have them send you a complimentary copy. Thanks for this excellent list, I would add Sit like a Buddha and The Buddha walks into a Bar. Both are unlike most other mindfulness books I’ve read. New book: “Don’t Wake Up! It Will Ruin Everything” will be FREE on Amazon as an e-book, November 17, 18, 19. Are you brave enough to really want to wake up? There are great books on how to meditate, great books on why we should meditate, BUT not so many on why we don’t meditate. Why is it so challenging to achieve a daily practice? Why don’t our practices bear fruit? Don’t Wake Up! It Will Ruin Everything offers a gentle alarm bell, penetrating our sleep with humor and reminding us of the possibility and cost of awakening. Don’t Wake Up! offers a humorous, mildly ironic look at several attitudes that get in the way of practicing mindfulness. Taking advantage of the power of paradox, looking at why waking up is dangerous actually strengthens our midfulness practice. Wow, Joaquin, you did a lot of research and really appreciating your focus. Thanks! !